Every month, you pay premiums for dental and health insurance to keep your mouth and body healthy. While you may believe that they are one in the same, there are clear differences between the two. Although both cover necessary treatments, you cannot use your dental insurance for medical purposes and vise versa. To use your dental coverage correctly and to maximize its value, your Delta Dental dentist in Hillsboro can help. Deep Cleaning vs. Routine Cleaning: What’s the Difference? If it has been a while since you’ve visited the dentist, there’s a good possibility your teeth are going to need deep cleaned. The American Academy of Periodontology recommends adults visit the dentist every year for an evaluation. However, we know this doesn’t always happen. No matter if you visit the dentist regularly or if it has been a few years, an evaluation by your dentist will determine whether or not you need a regular cleaning or a deep cleaning. While many believe the two are the same, there are actually fairly big differences between the two procedures. Comments Off on Deep Cleaning vs. Routine Cleaning: What’s the Difference? No matter who you are or what stage of life you’re in, there’s always an important day on the horizon. It could be a wedding day, a birthday or anniversary, a promotion or a reunion. Whatever your big day involves, you’ll want to make sure you look your absolute best. But have you thought about your smile lately? Most people fail to realize how important a confident smile will be when that big day arrives. Although you know you should do something to correct your misaligned teeth, you may be reluctant because you don’t want to deal with the hassle and embarrassment of traditional braces. Luckily, Drs. Brandon and Malinda Kearbey at The Dentists at Orenco Station offer ClearCorrect clear aligners, the innovation that eliminates the look and feel of metal braces. Today it’s easier than ever to have your teeth corrected. While you’re waiting for your big day, you can finally achieve the straight beautiful smile you’ve always wanted. Do yourself a favor and make an appointment with Drs. Brandon and Malinda Kearbey at Orenco Station Dental. We’ll help you find the orthodontic treatment that’s best for you. The Dentists at Orenco Station proudly serve patients throughout Hillsboro, OR, Forest Grove, Beaverton, Cornelius, Rock Creek and surrounding cities. Have you been told that you need to have one or more teeth removed? We hope you’ll turn to Dr. Brandon Kearbey and Dr. Malinda Kearbey for help. Our team at The Dentists at Orenco Station offers comfortable oral surgery, made possible by combination of experience and sedation options like oral conscious sedation and IV sedation. Regardless of the reasons for your procedure, expect us to approach your case with compassion, understanding, and a commitment to detail. Once we’ve diagnosed your situation, we’ll be happy to explain exactly how your procedure will go. If you have questions about any aspect of your procedure, don’t hesitate to ask them. To make your appointment more comfortable, we’ll recommend either IV sedation or oral conscious sedation. Both are effective for creating a comfortable, stress-free experience. In fact, many patients do not remember anything about their appointment afterwards. Are you concerned that you might need to have a tooth removed with oral surgery? Our Hillsboro team can help. Call us today for a consultation appointment. 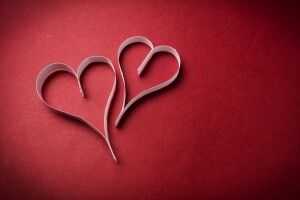 We’re happy to serve patients from Forest Grove, Beaverton, Cornelius, and Rock Creek. What if we told you there was a very important connection between oral and overall health? Most people would be surprised to hear that, but it’s true. What’s the connection? According to recent data, it can be traced to gum disease, a very common oral health condition that affects a majority of U.S. adults. Gum disease is caused by a buildup of bacteria and plaque around the gums. Over time, these irritants will cause tissue loss, culminating in the formation of pockets between the teeth and gums. These pockets give the bacteria and plaque of gum disease an entryway into your bloodstream, and from there, to other parts of the body. You can protect your smile and your overall health by following a couple of easy but important steps. First, make sure that you’re brushing and flossing every day. At The Dentists at Orenco Station, we recommend brushing twice a day, flossing at least once, and gargling with an antibacterial mouthwash. Following a routine like this will help you control the amount of bacteria in your mouth. But a good homecare routine isn’t all it takes to enjoy good oral health. 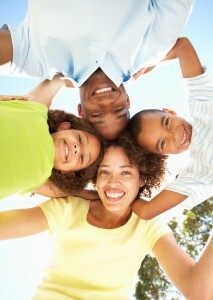 We also recommend seeing Dr. Brandon Kearbey and Dr. Malinda Kearbey twice a year for checkups and cleanings. Why so often? Because some patients may be struggling with gum disease without even knowing it. During your appointment with us, we’ll look for signs of the condition and offer care if we find anything. Call The Dentists at Orenco Station if you’re ready to schedule your next checkup with Drs. Brandon and Malinda Kearbey. They’re happy to care for patients from Forest Grove, Beaverton, Cornelius, Rock Creek, and beyond. What Are Your Smile Goals for 2014? Even though 2014 isn’t here just yet, it’s never too soon to start thinking of goals for your smile. 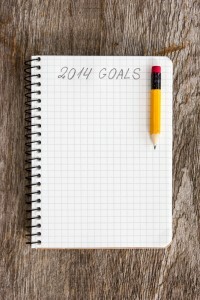 After all, people routinely set other kinds of goals at the start of a brand new year. Why not include your oral health? Maybe your goal is a simply to see Dr. Brandon Kearbey or Dr. Malinda Kearbey on a more regular basis. 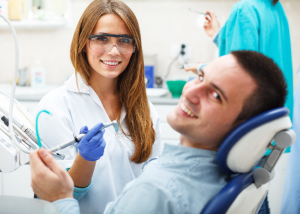 Regular dental exams and professional cleanings are the foundation for good oral health. It will be easier for our Hillsboro dental team to keep your smile healthy when we can see you twice a year for regular checkups. Another common goal patients have, besides coming in on a more regular basis, is transforming the way their teeth actually look. Drs. Brandon and Malinda Kearbey can create dazzling results using teeth whitening and porcelain veneers, two very effective cosmetic dentistry services. What’s more, when combined with treatment for cavities, misalignment, or missing teeth, patients can look forward to an even more dazzling transformation. Your final treatment plan will depend entirely on your needs. During a consultation appointment, Drs. Brandon and Malinda Kearbey will assess your health and talk to you about the changes you’d like to make. 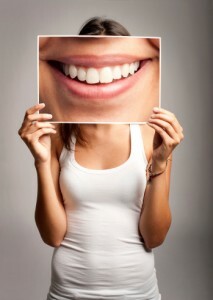 How you feel about the health and appearance of your teeth truly matters to us. We want to not only help you achieve optimal oral health but also a smile that fills you with a sense of confidence and good wellbeing. Call The Dentists at Orenco Station today to reserve your first appointment of 2014. We offer personalized general, cosmetic, and restorative care to patients from Hillsboro, Forest Grove, Beaverton, Cornelius, Rock Creek, and beyond. Comments Off on What Are Your Smile Goals for 2014?